Shay’s contentment is challenged, and she’s determined to shake things up a bit. But will she find the excitement she’s looking for, or will Shay realize she prefers her quiet and predictable life? One thing is certain: Life in the Bucklin family is never boring. Buy the book HERE. 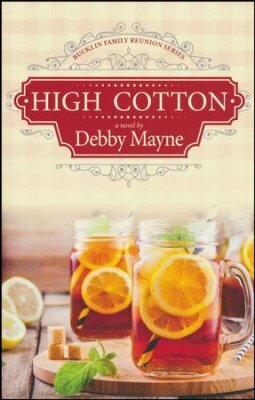 Debby Mayne writes family and faith-based romances, cozy mysteries, and women's fiction. She is the author of more than 60 novels and novellas—plus more than 1,000 short stories, articles, and devotions for busy women. High Cotton is the first book in the Bucklin Family Reunion series. Learn more about Debby HERE.